At church last weekend, Pastor John encouraged us to do something “significant” to commemorate the freedom we enjoy because of those who have fought and even lost their lives fighting for our country. I really thought about that and what I could do that would be significant. Finally, something came to mind – visit my Papa’s grave. You might wonder what is so significant about that, but for me it proved to be very significant. Papa died in 2004, just 2 months before I returned from Zambia. I was not able to be here for his memorial service or for the graveside service, but I understand that it was very moving. 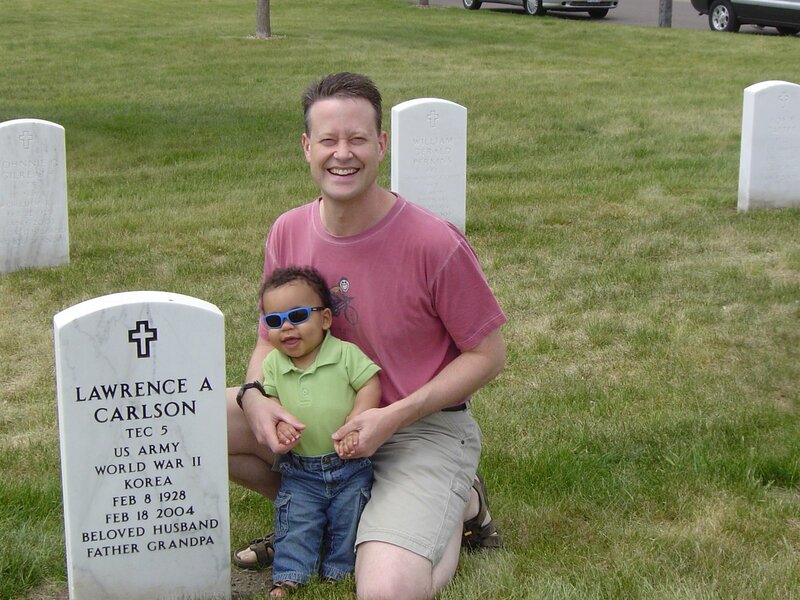 Papa served in World War II and also the Korean War, so he was buried at Fort Snelling Cemetery and received a traditional military funeral, including the salutes, firing of guns, flag folding, flag present ation to the spouse, playing of Taps, etc. I had never been to Papa’s grave. I had thought about it a lot but for some reason never went, and it was more emotional than I anticipated. It is one thing to know that someone has died, but it is quite another to see a gravestone with their name on it. Derek, my sister Sarah, brother-in-law Justin, nephew Josiah and I spent some time remembering, taking pictures, talking about some of the wars and looking at some of the gravestones in the area. The one right next to my Papa’s had the inscription at the bottom “In everything he gave thanks.” That was a life well spent! 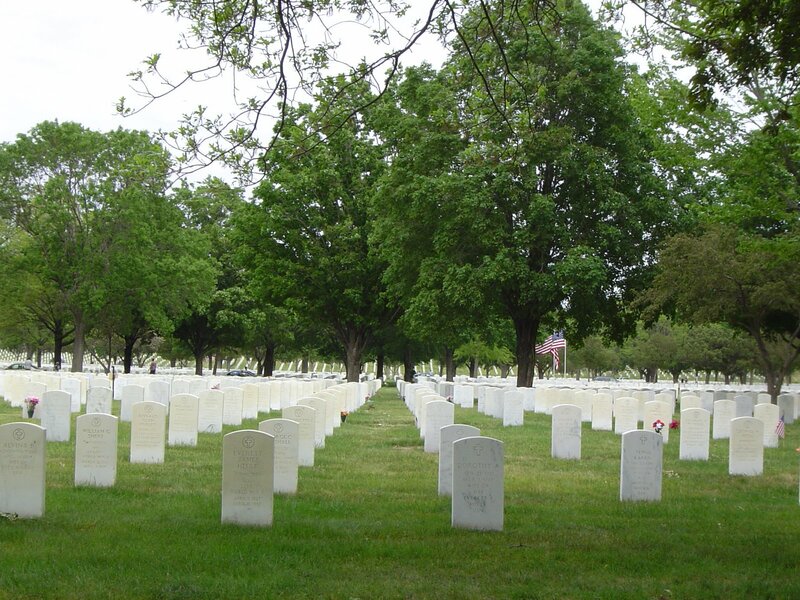 We also visited my Uncle Pete’s grave, who was buried at Fort Snelling. …we love you, Papa! And we are so thankful not only for your service to your country, but for your service to us, your family. 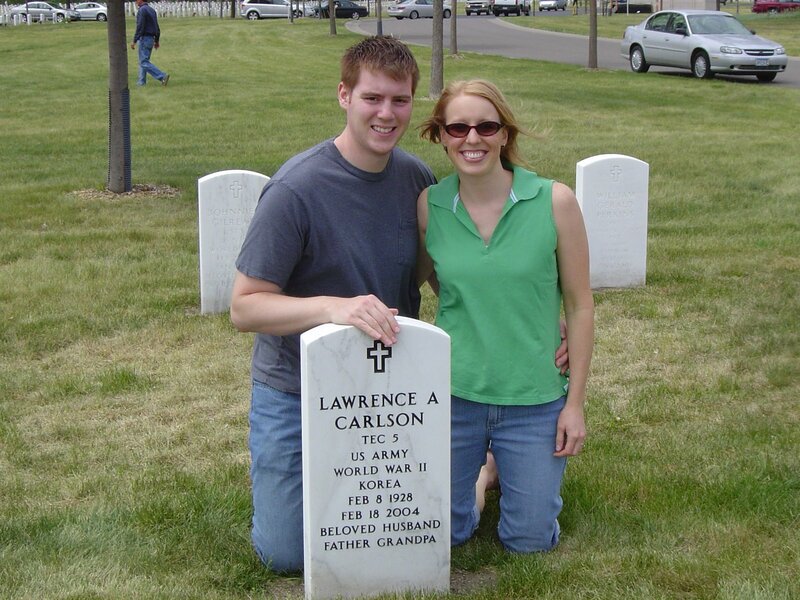 Your legacy of love, discernment, commitment, hard work and humor continues on as we remember you this Memorial Day. This entry was posted in Family, Inspirational. Bookmark the permalink.